of our lives is rooted in our personal experience, in what we ourselves have lived through and know first-hand. While it's also true that all real religions are based on the idea of an ordered, intelligent universe, a hierarchy in which each level is related to levels above and below in reciprocal dependence, until ideas become real, they are just possibilities. We know, perhaps without understanding why we know it, that we long for something beyond ourselves, something possible, yet something that is most of the time awfully far away from our ability to "know" it. But what we do know is also right here, in the world of nature, the world of human relations and interactions, the world of art, science, knowledge. We are part of these intersecting worlds, Caesar's world and God's world, Mother Nature and Heaven -- everything high and low. In our ordinary state of development, we do a lot of thinking and feeling, and most of us leave it at that, turning to religious ideas, to friends who really know little more than we do, looking for comfort when times are tough. Then when life settles down, we carry on with our plans and dreams, living pretty much with our personalities as our only compass, living, again, in reaction to what life seems to throw our way and what we toss back in response. For some people, this reactive cycle isn't very hopeful or fulfilling. And thus the importance of dissatisfaction, unhappiness, doubt. When we have real doubt about how unfree we are, how bound by all manner of conditions, from our physical to our emotional and mental reactions, we know all too well that real consciousness starts with seeing ourselves as creatures who simply are not completely free. Real religion is based on this kind of disillusionment and dissatisfaction: My life really isn't going towards freedom; I imagine, when times are flush and good, that I am free -- until something adverse brings me up short of the information I need in order to do what would free me. What would start to free me is having a practical way to wake up to reality and also know what to do when I wake up to reality. The truth of things is that I do have to live on earth, in a body, in a social setting, within traditions of thought and education. Real work, real effort to go beyond ordinary life as children of Nature takes me into higher levels where I grow up, over time, by dint of my own efforts. Real work is not escape from the ordinary conditions of my life, but a willingness to live here and be here and make use of ordinary life in a transformative process scarceley noticable to anyone who is not working to awaken. The results of what I achieve nobody can take from me -- because nobody but me can do it for myself. Real work means real responsibility for my life, from top to bottom, with all the inner divisions, moods, conflicting thoughts, and desires. I work to be whole, harmonious, as well as free. The key to becoming whole is self-knowledge. True self-knowledge is possible only through impartiality, the direct experience and acceptance of what I am in total. Impartiality and its partner objectivity can be developed by the method of waking up that Gurdjieff left us, called Work on Oneself. The Tucson Gurdjieff Group exists to foster this method and help anyone with a sincere desire to wake up. ...was born in Armenia and grew up within sight of the biblical Mt. Ararat. His life reflected an intense desire to decipher the mysteries of human existence. He traveled extensively throughout Central Asia and the Near East where he encountered centers of Sufi, Buddhist, esoteric Christian, and possibly Taoist origins. It is undoubtedly from these journeys that Gurdjieff collected and recorded the vast repertoire of temple dance choreography and sacred music that he and Thomas de Hartmann later transcribed for piano. Gurdjieff arrived in Russia in 1912, where he began to develop and teach his theory and practice of human development. In 1922 he established the Institute for the Harmonious Development of Man at the Chateau du Prieure, Fontainebleau, near Paris. Music and sacred gymnastics, or "Movements" as they became known, were vital components of his work. 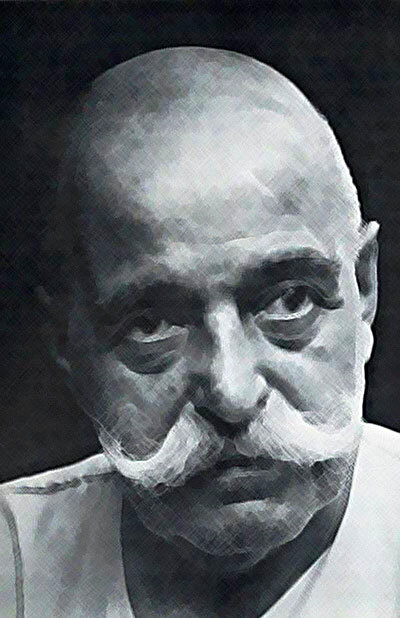 Gurdjieff stated that he wanted to be remembered as a teacher of temple dancing. He died in Paris in 1949. ...was known for his clarity and seriousness as an early student of Gurdjieff in America. He applied Gurdjieff's teaching in his life and reached a level of development recognized by all who met him. He always placed the emphasis on Gurdjieff's own teachings and books, with little reliance on secondary material. In particular, he stressed the importance of making efforts to understand All and Everything, Beelzebub's Tales to His Grandson, and insisted that the book be read three times exactly as Gurdjieff indicated. He also taught the specific methods for Working on oneself which he had learned from A. R. Orage and Gurdjieff, and that it was necessary to actually apply Gurdjieff's methods of Work in daily life rather than merely thinking and feeling about the Ideas. Mr. Nyland was born in Holland, and came to the United States as a young man. He heard Gurdjieff speak on his first trip to New York in 1924, and became part of the original Orage group that Gurdjieff set up in America. From then on, he remained an active student and stayed in close contact with Gurdjieff for the next 25 years, both when Gurdjieff visited America, and when Mr. Nyland and his wife Ilonka Karasz visited France. The Nylands were the first Americans to visit Gurdjieff after the Second World War, and at that time Gurdjieff asked Mr. Nyland to start a group in New York, for which he would receive special material from Gurdjieff every week. After Gurdjieff died in 1949, Mr. Nyland was one of the original founders and trustees of the Gurdjieff Foundation. Later, around 1960, he started his own group, eventually with branches in New York City, Boston, Santa Fe, San Francisco and Seattle, and with various smaller groups elsewhere. The Tucson group was begun under the direction of Willem Nyland. Since 1972, weekly meetings have been conducted in Tucson to discuss the practical application of Gurdjieff's method of inner development (known as "the Work") to everyday life. If you have been touched by the ideas of G.I.Gurdjieff and wish for a deeper connection, contact Wayne at 520-360-7340. Copyright 1997, Institute for Religious Development.